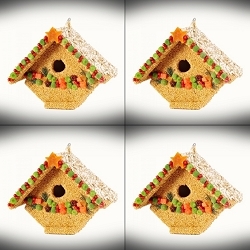 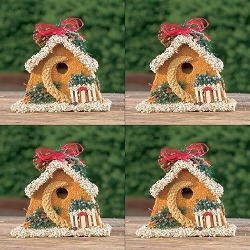 Save $$ with the Spring Fruit Bed & Breakfast Edible Birdhouse 4-Pack! 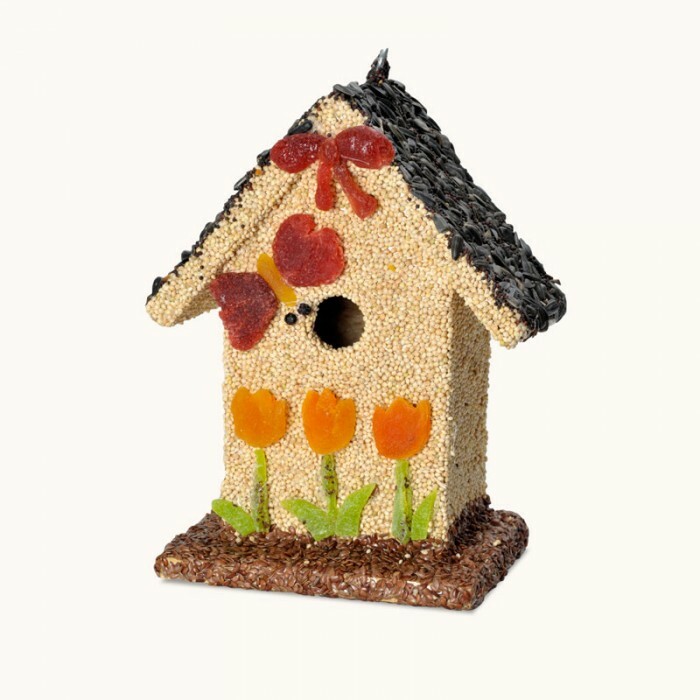 The Spring Fruit Bed & Breakfast Edible Birdhouse is a delightful treat for your favorite backyard birds and a thoughtful gift for any bird lover. 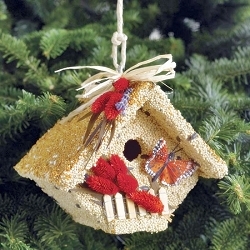 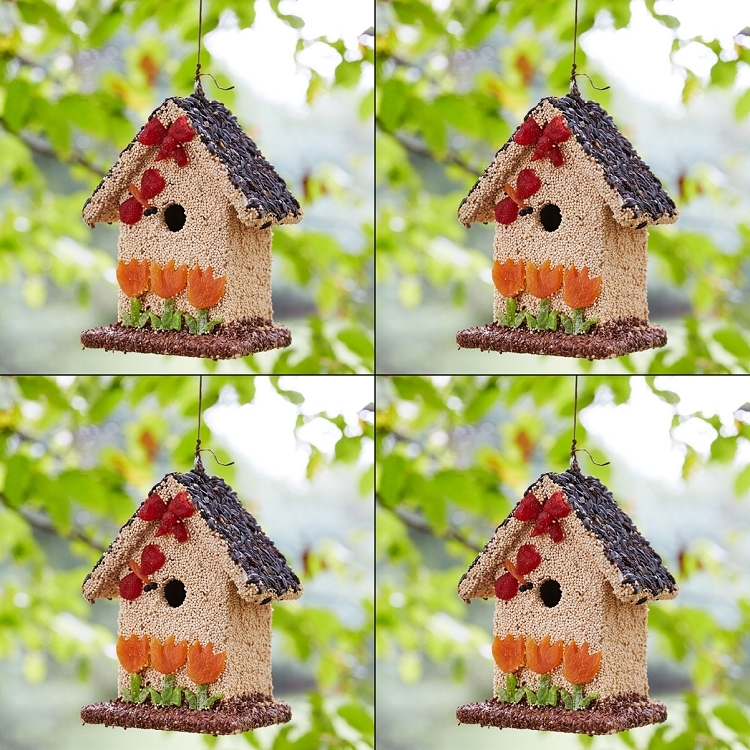 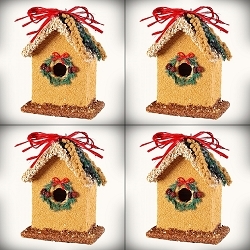 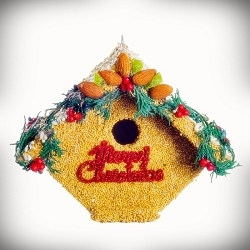 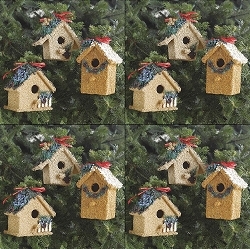 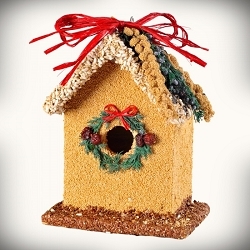 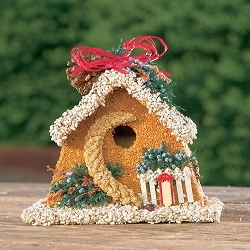 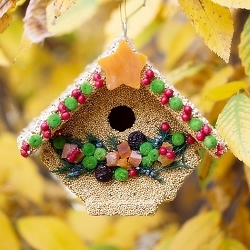 Delicious and delectable premium bird seed coat these wooden houses and decorated with sweet spring fruits. 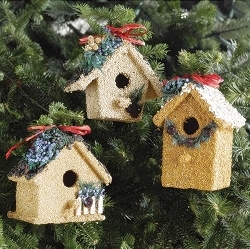 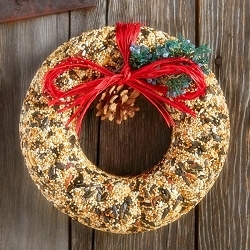 A delightful treat for your favorite backyard birds and a thoughtful gift for any bird-lover. 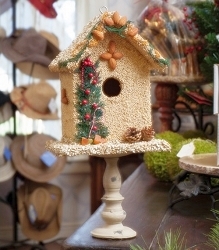 Once the seed is consumed the birds may nest in the durable houses for seasons to come. 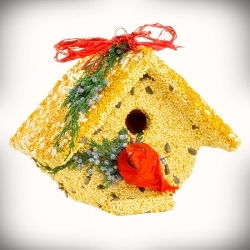 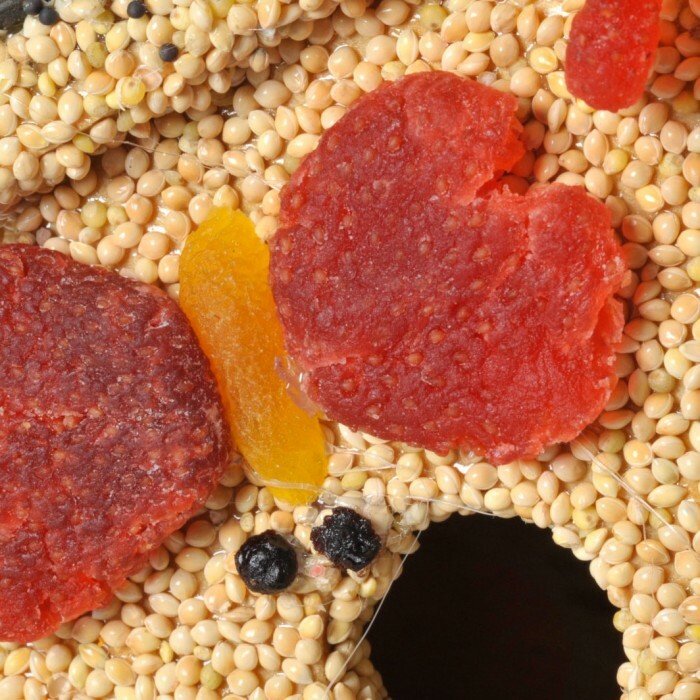 It's far more than just a safe place to nest--it's also a delicious, edible treat! The outside of this traditional style hanging birdhouse is coated in delectable premium bird seeds and fruit, including tasty tidbits of Millet, Black Oil Sunflower, Flax, Canola, Apricot, Strawberry, Kiwi, and Blueberry. 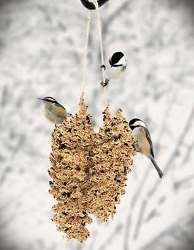 Hang the Spring Fruit Bed & Breakfast from a tree limb or hanger near a favorite window or next to your deck, so you can watch the birds feeding up close. 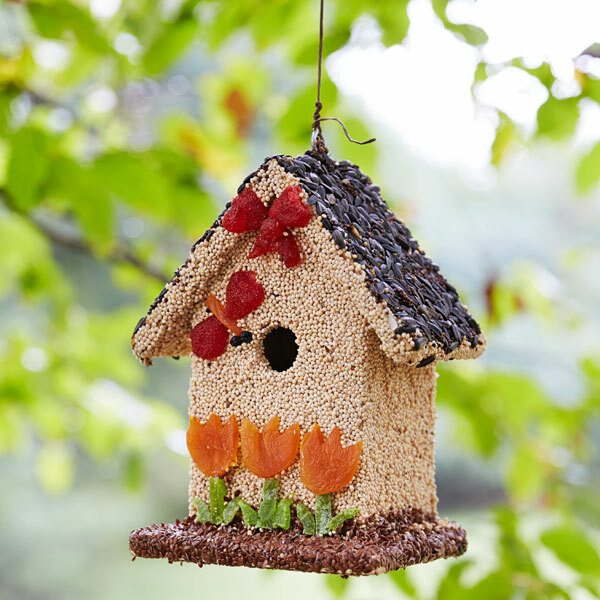 As with any bird feeder, it's best to protect it from rain and squirrels if possible. 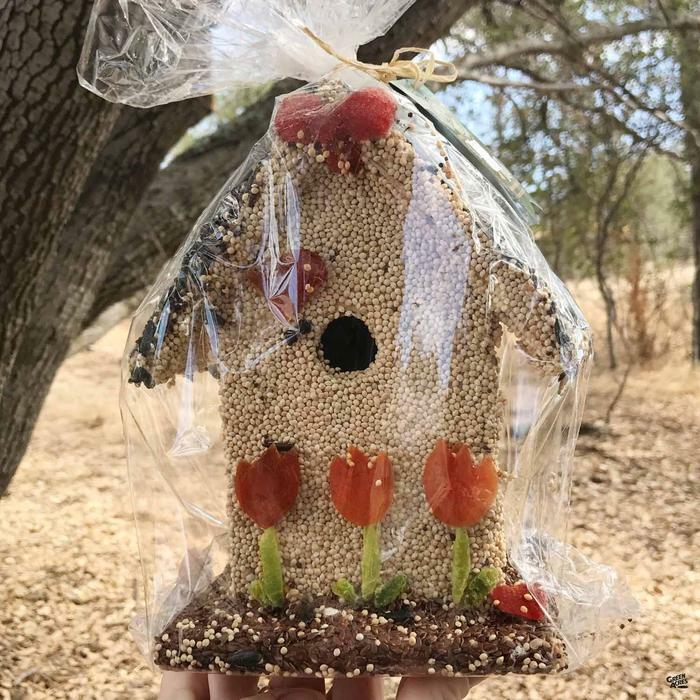 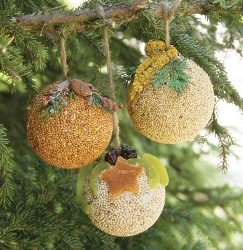 Once the seeds are all gone, and it's ready to be used as a home, place it in a secluded part of the yard or mount it on a post or hang from a tree limb 6 to 10 feet off the ground to help protect eggs and baby birds from predators.